Congressional Procedure offers insider-level understanding of how legislation passes through the House and Senate, handling a dry topic with great precision and clarity. 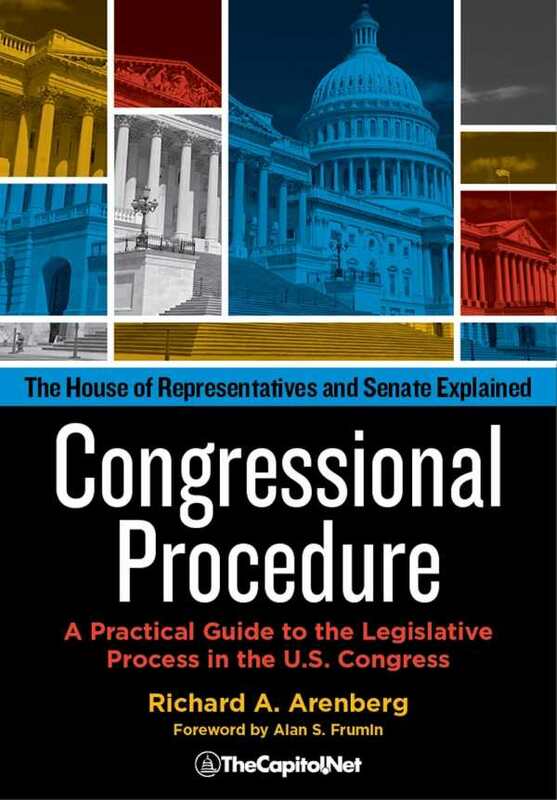 Richard Arenberg’s reference work Congressional Procedure explains the intricacies of the United States Senate and House of Representatives. It is a focused and detailed work that is valuable for contextualizing history and current procedures. Organized to give a general overview of what tasks Congress takes up, the text outlines, step by step, how bills and other kinds of resolutions make their way through the two chambers. Along the way, specific rules and common processes are outlined. The text discusses exceptions and historical precedents related to how bills are drafted, revised, debated, and ultimately passed or discarded. The timing of congressional sessions and how calendars are managed are also discussed. Particular focus is given to how power is shared between opposing parties and how both the majority and minority parties in each Congress handle the balance of power. Language is precise if dry, and drives to the point. Vocabulary and jargon-based distinctions slow the pace, and many sentences require careful readings to ensure clarity, though this is appropriate for the subject matter. Clear chapter titles and frequent subheadings make the text scannable and easy to navigate. It is an effective reference textbook, complete with an extensive index and a clear, helpful glossary of Congress-related terms.